"Divination by means of cheese." That's the OED's succinct definition. And it quotes Rabelais: "To have the truth . . . more fully . . .disclosed . 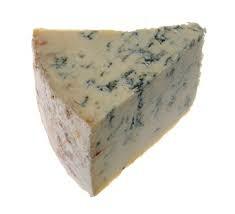 . . by Tyromancy, whereof we make some Proof in a great Brehemont Cheese." From the Greek turos, cheese, and manteia, meaning divination. (No relation to tyro, meaning beginner, which has a Latin root, tyro, meaning squire.) I guess we're talking curd, mold, holes here. Better tasting than tea leaves. "Cheese is the biscuit of drunkards," wrote John Keats.